Input text: It is night. There is an extremely giant moon. 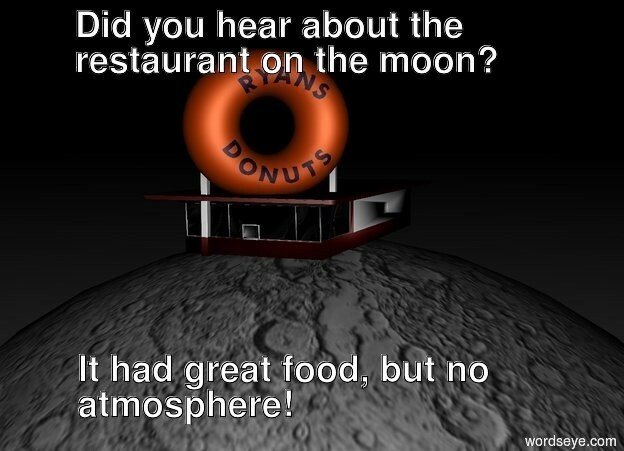 There is an extremely tiny restaurant on the moon.. the restaurant is 2 feet tall. The camera light is dull white.